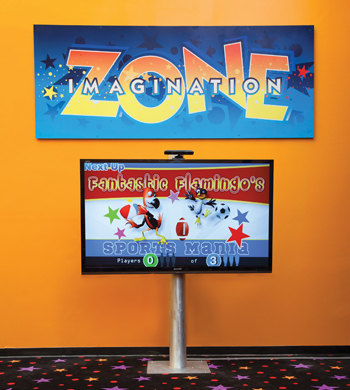 Check Out our NEW Imagination Zone! 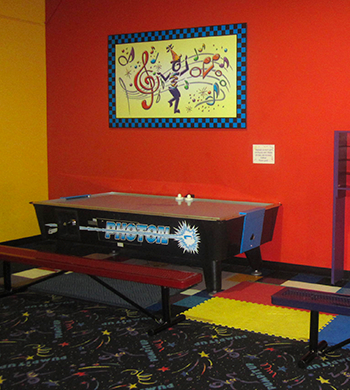 This interactive game is FUN for kids & adults alike! 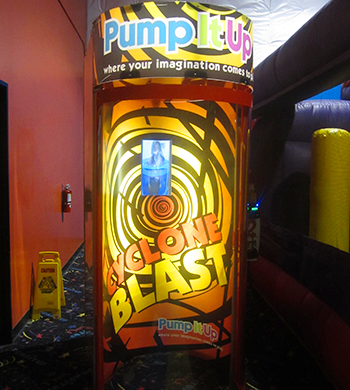 See yourself on screen & beat your opponents with 4 different interactive games that will have you laughing & screaming for more! Score as many points as possible against your friends with 3 NEW Sports Games! Choose from Football, Basketball & Soccer. 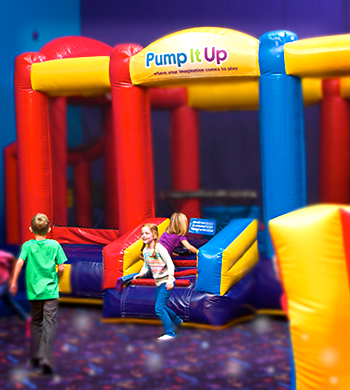 Pump It Up is for all ages! 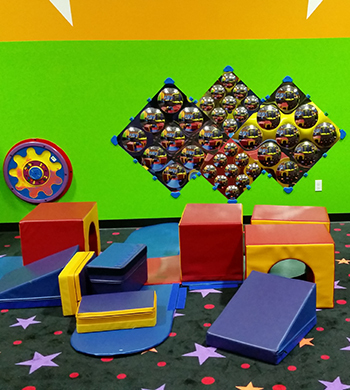 Tots now have their very own "Tot Spot" to play and have fun. 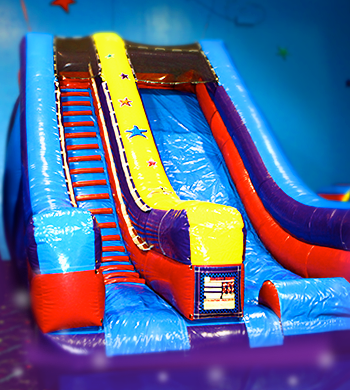 There are designated areas in both of our giant arenas for the little ones. 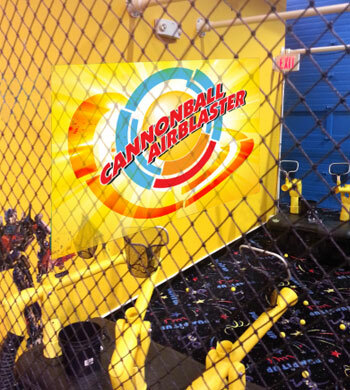 All NEW Cannon Ball Air Blaster!! 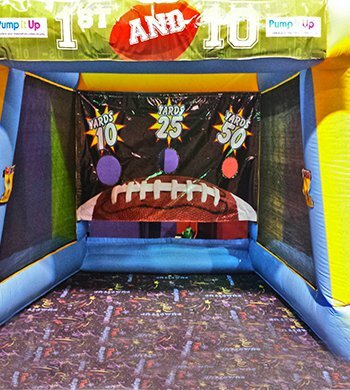 Blast your friends with fun air balls! See if you can get the balls in their nets. For up to 8 players. To have an extreme experience add Glow to your party and see the cage light up! 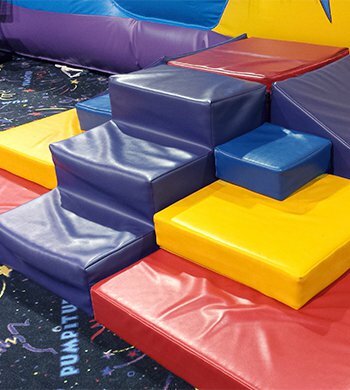 Something for the little ones to climb on and enjoy too! 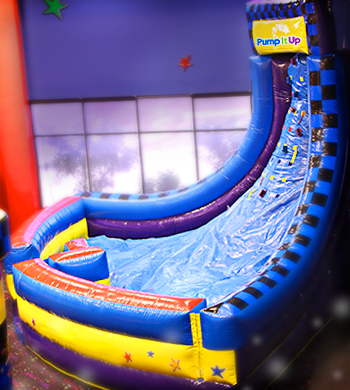 Come and shoot hoops with your friends! 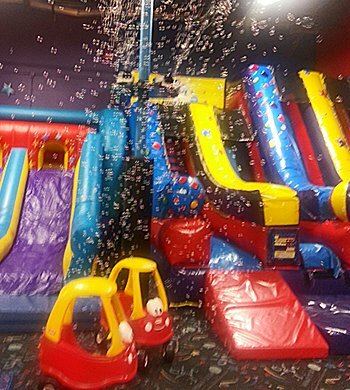 Great game for parents and kids alike.